Oneof the most Important characteristics of the Thirty Years,' War was its extreme brutality. ● Not only armies have been fighting each other, but also the numerous gangs of the mercenaries, former soldiers, and other illegal individuals have been crowding the roads of Europe and have been destroying European cities and towns, mainly in Germany. But what was the biggest shock for the people is that all parties who have been fighting this war, they were Christians, the brutality is known in European History. ●For example, European crusaders have been extremely brutal when they traveled to the Middle East during the crusades. The fight with the Ottoman Empire was a very cruel fight. But during the Thirty Years' War, was the first after the beginning of Renaissance case when the Christian nations have been fighting each other and destroying the population of another states almost completely. ● Thus, the people of that age, as Thomas Hobbes and many others, started to think of what can be the substantial replacement for the Christian morality which has been dominating the international politics before the Reformation in Germany and before the Thirty Years' War. The war was also very exhausting, European nations have been fighting 30 years. ●They lost so many human Iives, almost 1/3 0f the people of Europe's died in this religious war. So, they were prepared to any decision just to end it. Here, we can use the quotation from the book, "World Politics", of one of the most famous, nowadays, practitioners and intellectuals in international relations, the former American Secretary of State, Henry Kissinger. Henry Kissinger, writes in his book, "Paradoxically, these genuine exhaustion and cynicism allow the participants of the Westphalian Congress to transform the Practical means of ending a particular war into general concepts of world order." here s no Peace of Westphalia or Westphalian Congress as a one event. ● There were several negotiations conducted in two German cities, One of basically populated by the Catholics, another one by the Protestants. Entirely, the participants of these negotiations have mounted up in numbers up to the 400, 450. None of them was as most important was the state leader or the king because all of them have been Iawyers and representatives of the communities. They were bureaucrats, and this is particularity over the Westphalian order and Westphalian peace. It is not a decision of the heads of the states. It is a decision of Iawyers. That's why it is so other. ●50, by this principle With the Westphalian peace, the sovereign equality of the states was introduced. And now, if you look to the United Nations Charter, we see that these principles exist there. ● The United Nations Charter says that every nation, every state is equal and independent to each other. ●The third principle says that no one can be stronger than others, and this principle represents the one of the most important principles of the European politics for several centuries after, balance of power as the key principle of international politics. it could be recognized as an international citizen able to maintain its own culture, politics, religion, and internal policies, shielded by the international system from outside intervention." I think this is a very genius observation. 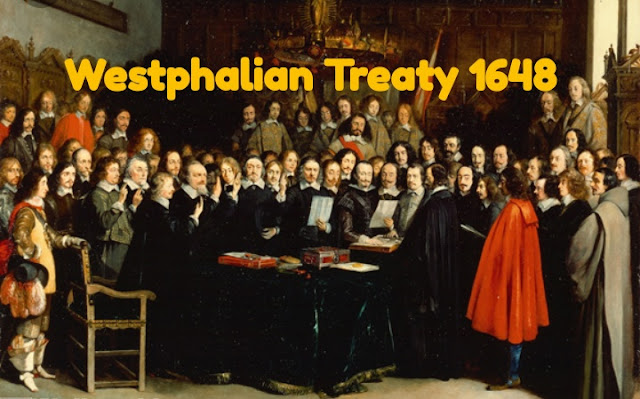 So, first of all, it points out that the difference between Westphalian system and any other international arrangement is that Westphalian arrangement was not about the substance. It was not about which territory belongs to each state. It was not about which sovereign is the stronger and more important than the other sovereigns. It is about the procedure. It is about how the states should treat each other. It is about the rules. It is about the order, and it is about, after all, law. The three principles of Westphalian systems are the basic three principles of international communication between the states even nowadays. And Henry Kissinger else underlines that if a state would accept these basic requirements, it will be recognized as an international citizen. So, the basic requirement for the state to be treated as equal and to be treated as a reliable member of international community is to accept these basic requirements. Do not intervene into the internal affairs of others. Do not impose your views, do not impose your values, do not impose your culture, politics, religion on the others. Not trying to become the strongest. Not trying to dominate the others. Not trying to limit the sovereign rights and the quality of the others. These are requirements for one state to become a reliable part of the international community. With having said that, we end our section about the classic realist theory. And further, you can find some readings which can help you to understand these basics of our theory. Next time, we go to the antagonist of the realist approach. We go to the liberal tradition in the theory of international relations, and we start with a Christian tradition. To know more click on related sponsored links.